Knowledge at the level of Matriculation of a recognized Board of equivalent of one of the languages other than Hindi mentioned in the Eight Schedule to the Constitution. Degree or Diploma in translation in Hindi to English and vice-versa from any recognised university or equivalent. 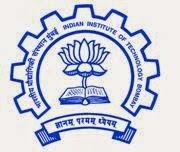 Indian Institute of Technology Bombay has released the notification of IIT Bombay Recruitment 2013 to recruit the qualified and skilled job hunters for Hindi Officer Post.